The easiest way to go about it is to go for an all-white look. 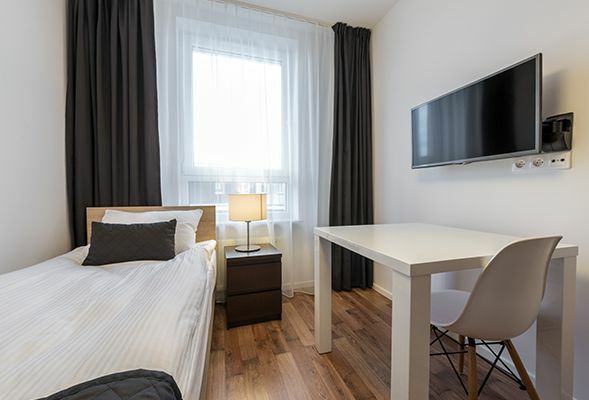 It will not only make the room appear spacious, but the all-white look also haves the effect of making the whole room appear crisp, clean and brighter. Plus, you can add playful splashes of color and experiment with the décor, which can often be a constraint with colored walls. Try adding some wooden features to the room to create that shabby-chic look that’s all over Pinterest! If you’re more into the modern minimalistic look, then adding some dark curtains to an otherwise white room can instantly transform a small space into a simple, yet modern, hideaway. It might not be an obvious choice, but creating an accent wall using a bold color is an excellent way to make small rooms look bigger, especially if you don’t like the sound of an all-white room. 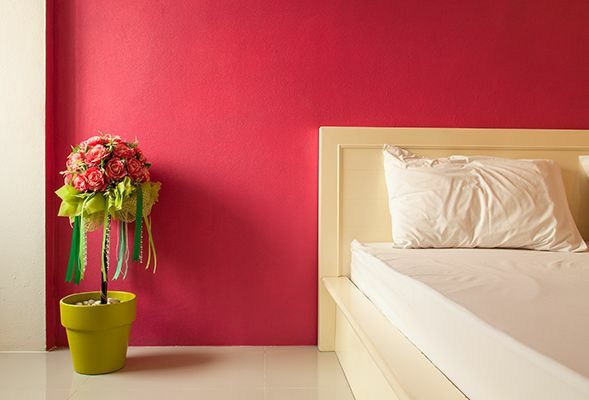 Paint the main wall a deep red but keep the remaining walls white or off-white to offset the intense color. The overall effect will be a modern wide and spacious room, which you can decorate colorfully. You can also try this in the kitchen if you’re not comfortable using such a dark color in the bedroom. Pastels are an impeccable choice to make rooms look larger. 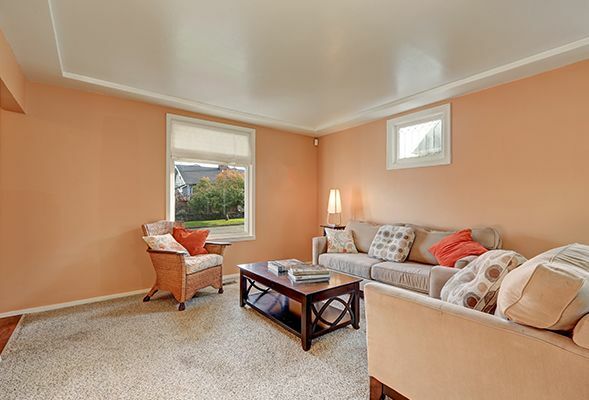 Go for a rosy peach, balanced with white, or beige trims and ceiling, for a soft and feminine touch that makes your space look bigger at the same time. This sea green is the perfect combination of a neutral shade that still incorporates color. This color can add a dose of freshness and brightness to the space while simultaneously having a widening effect. Trims can be either white or a darker blue to tie up the look nicely. A creamy banana yellow can be a surprisingly sound color choice when it comes to making small rooms look bigger. Yes, it is a tricky color to handle. Even a relatively darker hue selection can leave you with a room that looks and feels even smaller. Match the yellow with other citrus hues like orange or lime green and feel right at home. 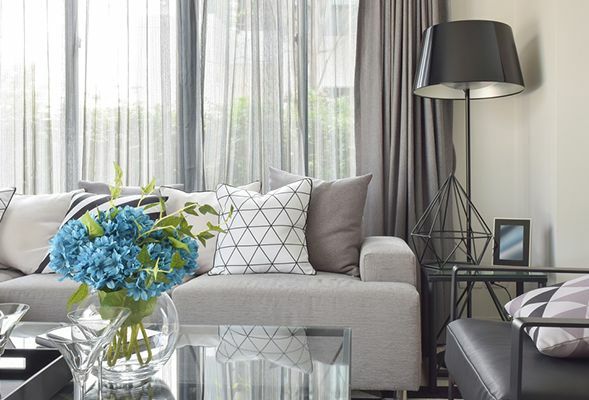 With a monochromatic grey color scheme, you can do an entire room in various shades of grey. This approach makes the room look clean and minimalistic, which in turn has an enlarging effect. Plus, you can’t deny that it looks tasteful and elegant. Bathrooms are naturally small rooms, which provide the perfect opportunity to say goodbye to boring white rooms and pick a more relaxing color. 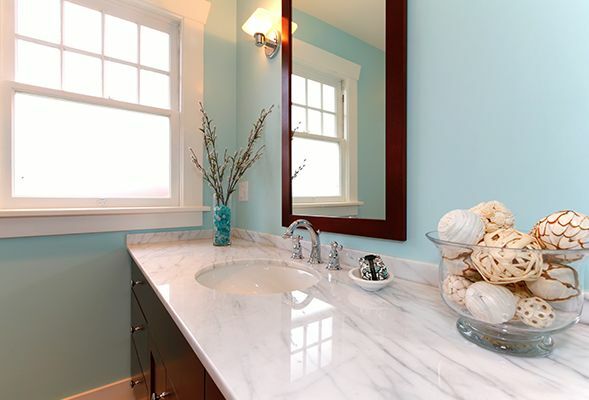 Go for a beach-vibe and pick a light blue to give your powder room a distinct look that makes it appear bigger than it is. This color works perfectly if you have wooden cupboards in your bathroom – pair it with a wooden mirror and add some shells or coral to bring the whole look together. This sky blue works perfectly in other rooms too. Transform your living room into a peaceful abode by adding a splash of this color to your walls. Find the best professional paint companies in Dubai on ServiceMarket today and give your home an instant makeover.